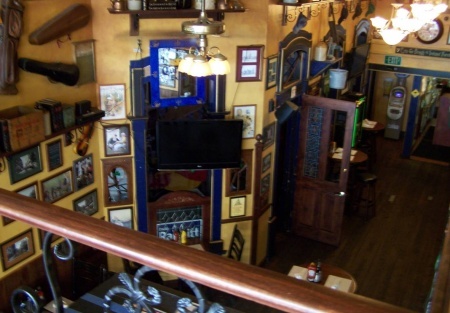 We present this Traditional Irish Pub situated in a busy San Francisco area town. This Pub is a beautiful re-creation of a genuine Irish Pub. The present owner has increased sales & profits 300% in past 3 years and currently sales are in excess of $1.2 million. Because this business has shown such growth and high % profit, the seller will carry 50% of the sale price for qualified Buyers with excellent credit and at least 5 years experience and are able to invest $200,000.00 +. Live music, a genuine Irish menu and a brand new 2nd floor Bar have transformed what used to be just a sleepy bar into THE most popular bar in town. A large full fitted Kitchen allows for any menu to be implemented with a separate rear entrance and a 2000 sq ft of basement storage area with refrigeration, heating etc. Full of original artifacts from the Emerald Isle, you feel like you've just stepped back in time within the narrow lanes of Dublin, Ireland. This kind of themed Pub, in such a sparkling condition is a rare opportunity. There are 2 well appointed full bars with seating at each bar for 16 with many Beer handles and choice Liquors. The town is bustling and growing with many new homes being built. You cannot see any signs of recession here, perhaps because their is a major University just minutes away and within commuter distance from San Francisco. Open 7 days a week, this Pub requires minimal owner participation as the management and staff have been there for many years. This bustling wine country town, near the coast benefits from being within commuting distance to San Francisco and enjoys a steady all year around business. This High street Pub features 2 (Type 47) fully licensed Bars and opens out onto the street with with sliding glass doors and extra outdoor dining. seating for 150 in over 3000 sq ft of genuine Irish Pub atmosphere. Featuring multiple TV's, Dart boards and a Superior sound system this fully Turn Key Pub opportunity require NO investment and consistently produces a profit every month. The lease has 11 years remaining and is extremely competitive at only $1.50 per sq ft. This is a "REAL IRISH PUB" and an opportunity not to be missed.